"I shouldn't have brought you guys out here." 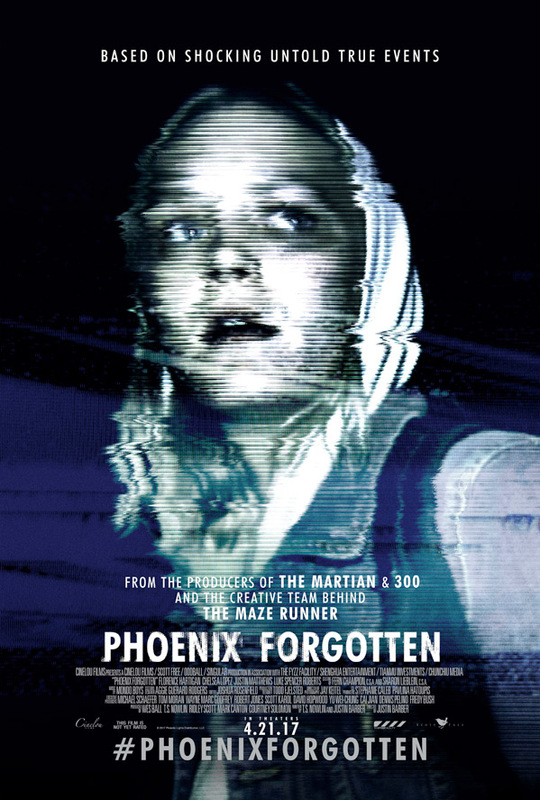 Cinelou Releasing & Freestyle Releasing have unveiled the first trailer for a mysterious, eerie sci-fi horror film titled Phoenix Forgotten, about a group of kids who disappeared from Phoenix, Arizona in 1997. The film is being billed as a Blair Witch-esque found footage thriller about these kids who went into the desert on the night lights were seen above Phoenix. The "unseen footage has finally been discovered, chronicling the final hours of their fateful expedition." The cast includes Florence Hartigan, Chelsea Lopez, Justin Matthews, Luke Spencer Roberts; with Wes Ball, T.S. Nowlin, Ridley Scott, Mark Canton, and Courtney Solomon producing. This definitely looks creepy, and it definitely looks like they want to replicate the Blair Witch concept, but with aliens in Arizona. Have a look.